alvinang has 21 repositories available. Follow their code on GitHub. View Alvin Ang on about.me, your personal page with a purpose. Alvin Ang uses about.me to show people what matters most to them. 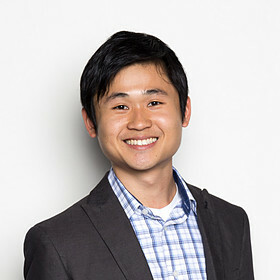 Alvin Ang is a Rails Developer with an entrepreneurial mindset. He is passionate about product development, especially in niche markets. ... joined Purdue after 24 years at Air Products and Chemicals. Alvin Ang / A passionate workaholic who enjoys automation and rails development. Co-founder AS Flux who enjoys building relationships with like-minded people. An ultimate enjoyment found when working hard, smart and efficient. View the membership information for alvinang on Code School. I am a Ruby on Rails Developer who enjoys rapid development and fascinated by value added products in niche markets. Join LinkedIn and access Alvin’s full profile. Screenr - alvinang: Do you want to increase your social presence? Check out Rapportive! This video shows you the powerof Rapportive! View Alvin Ang’s full profile. ... I'm a VP at Turn/River Capital, a tech private equity firm in San Francisco. ... Turn/River Capital is an untraditional tech private equity fund based in SF. Alvin Ang | I am a Ruby on Rails Developer who enjoys rapid product development and new product creation.